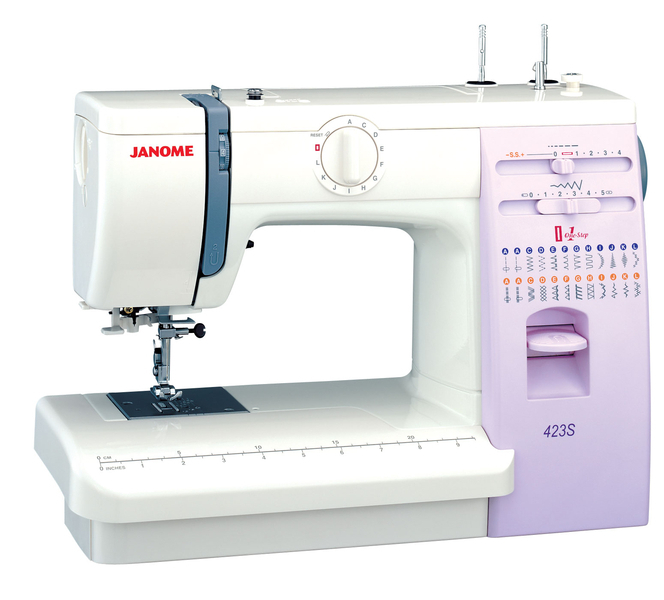 The Janome 423S sewing machine features 22 stitches, a stitch width control, an auto one step buttonhole and a drop feed facility. Allows the setting of stitch length and width and also used to select stretch stitches. 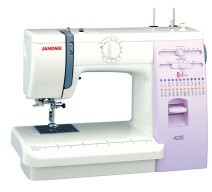 Simply push the bobbin winder to the right and the drive is automatically disengaged. Built in so always to hand, making threading needles quick and simple. Lowers the feed dog to allow free motion embroidery or darning. Regulates the foot pressure down onto the fabric providing better control. 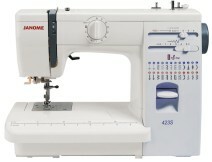 Its a sewing machine is a robust alloy bodied which has no problem sewing multiple layers. 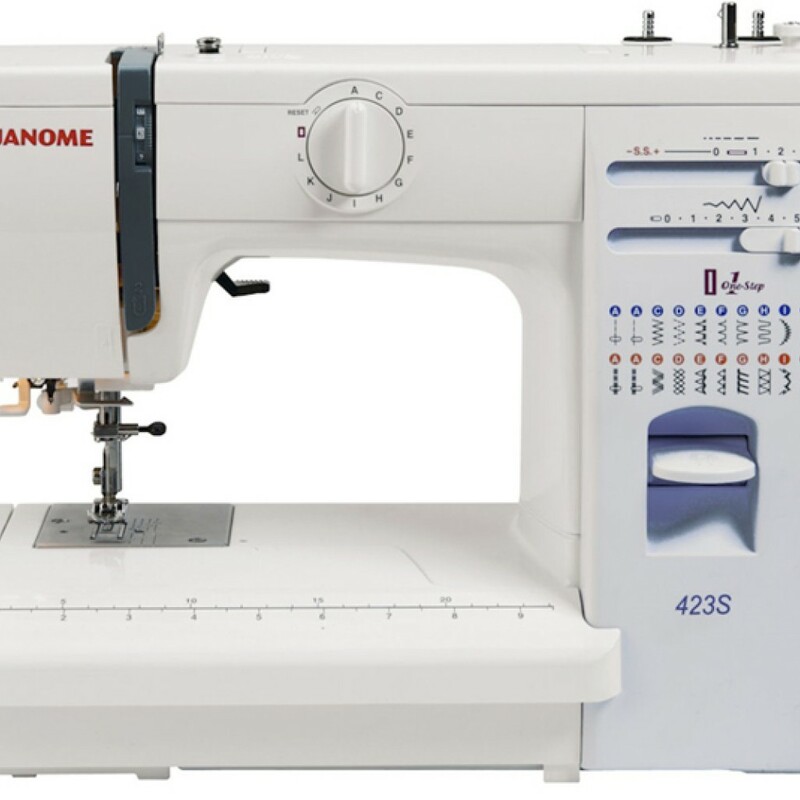 It includes features you’d expect to find on more expensive machines, it gives you 24 stitches, and legendary Janome stitch quality, it is perfect for quilting, home decor, or garment construction. It will perform consistently on a wide range of fabrics. 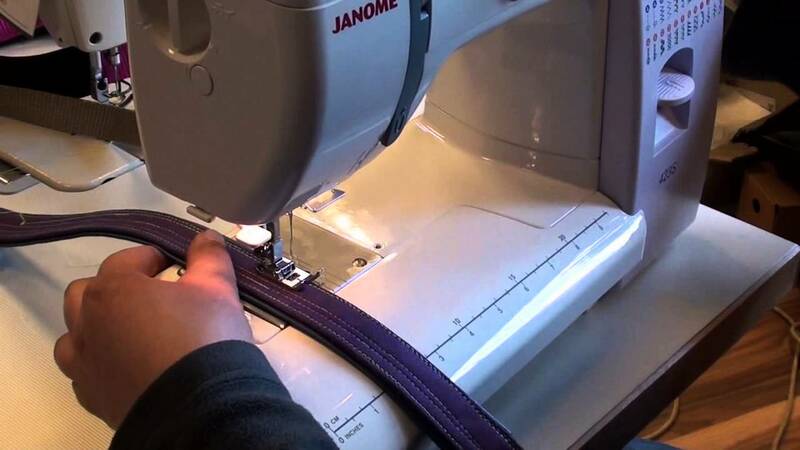 The optional accessory feet snap on and the stitch package includes: blind hemming, stretch, overlock and decorative patterns.. plus the option to drop the feed for free-motion embroidery the bobbin winder will stop automatically when full. Please note - panel colour may vary.